Arrowheads mounted on a large wooden sign point the way to the Oakville Indian Mounds Education Center at the western edge of the Appalachian Mountain Range in Alabama. I followed those carved arrowhead signals into an enlightening encounter with an ancient way of life. 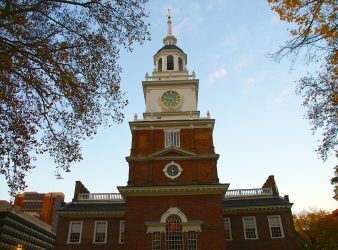 Immediately upon arrival, there is a connection to the American Indian culture and to the history of this place. Identification markers of tribal clans line the park entry road in two languages, as a linguistic introduction to all that lies ahead. 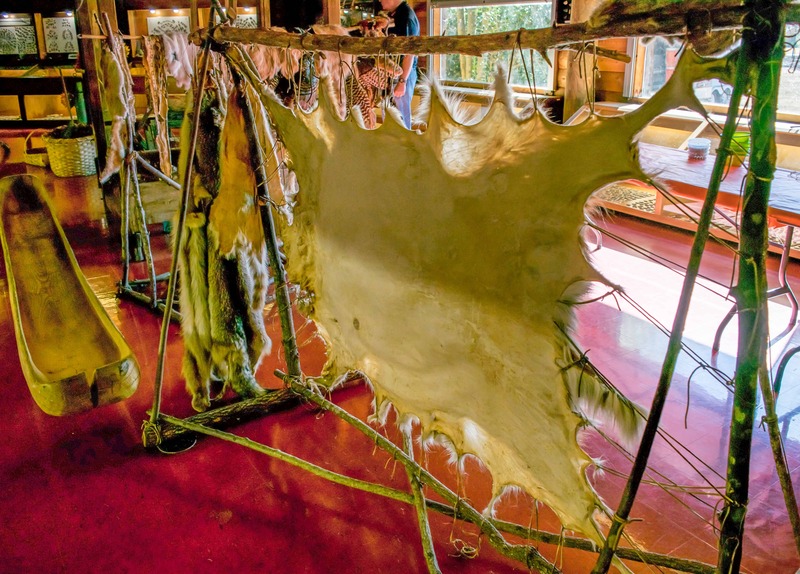 This park and educational facility preserve artifacts dating up to 10,000 years before the European arrival to the new world. 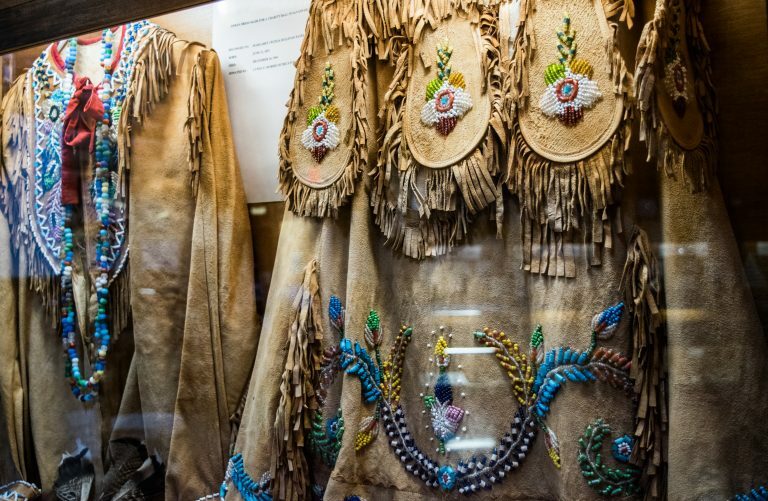 More specifically, cultural relics of five Indian tribes – the Creek, Cherokee, Chickasaw, Yuchi, and Shawnee – are carefully preserved and then commissioned as needed for cultural activities. 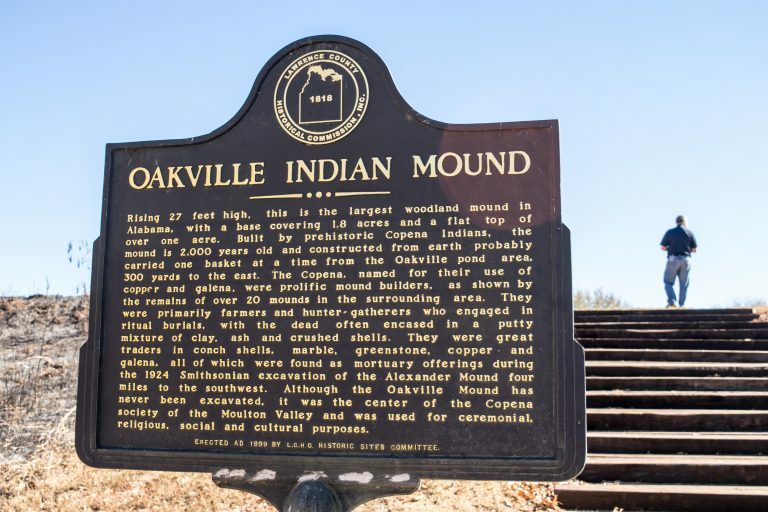 Located in the southeastern portion of Lawrence County, the 180,000 acres of the William B. Bankhead National Forest surround the Oakville Indian Mounds Park and Museum. Many of the museum’s treasured remnants are from the extensive Indian hunting grounds now inside the boundaries of the national forest lands. With its plentiful wildlife, waterfalls, caves, and deep gorges, Bankhead National Forest is a prominent site for unearthing petroglyphs, prehistoric drawings, and ancient rock carvings. Lawrence County, Alabama is home to the second largest Indian population in the state and is an appropriate setting for the Indian Education Program. What began in 1986 as a method for teaching history and culture to the local Indian students has grown exponentially. The program currently serves more than 1,700 students. To participate, students must prove eligibility based on tribal enrollment of their grandparents, parents, or themselves. Many of the students are documented as being of Cherokee, Chickasaw, or Creek heritage. 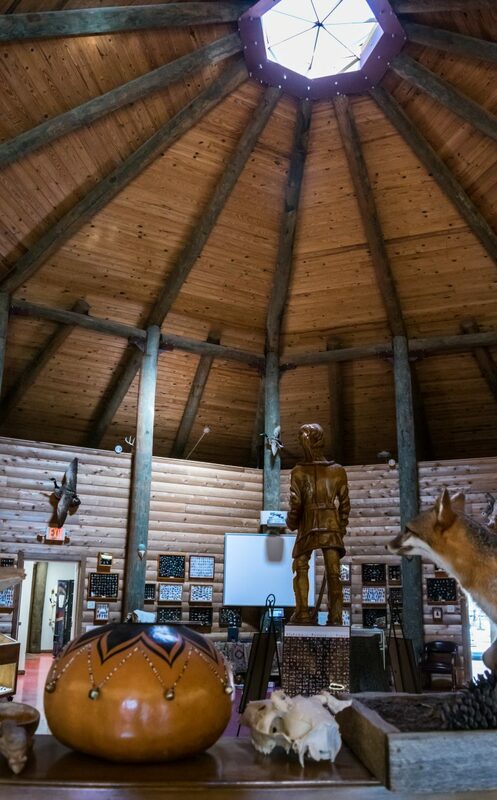 The Oakville Indian Mounds Museum is a seven-sided modified design of a Cherokee council house. The seven sides represent the sacred Cherokee number seven, which repeats in many aspects of the tribal culture. The Cherokee tribe had seven clans or family units which were maternal, based on the mother’s blood line. Even more insightful, the seven directions in tribal life are north, east, south, and west, as we are familiar with today, plus the directions of up (heavenly), down and inside the person. Seven in building structures – seven in building family clans – seven directions in building lives. The self-guided tour begins (and ends) in the gift shop. The museum host greeted me and provided background information about the museum and upcoming educational programs. I moved into the seven-sided museum space. A statue of Chief Sequoyah dominates the room. 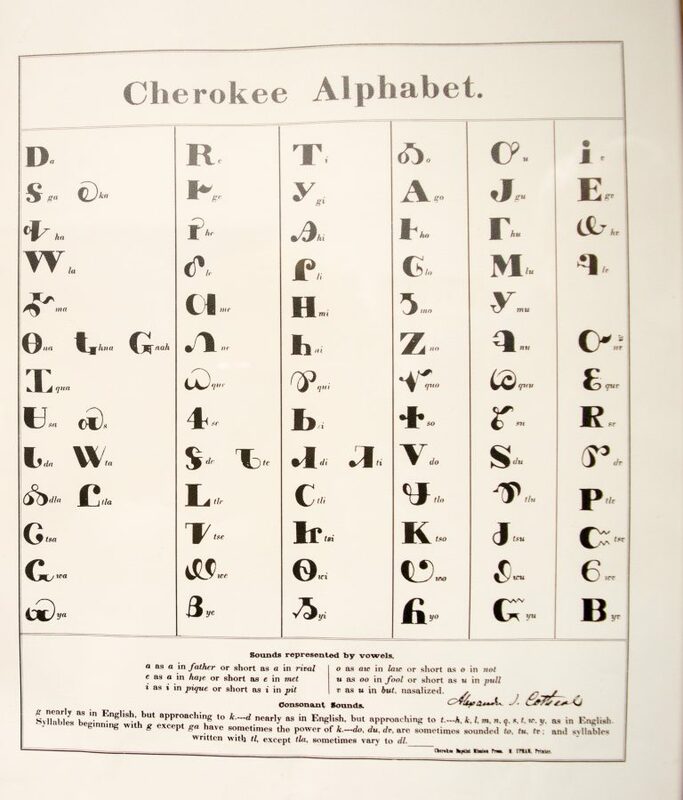 A nearby case displays the Cherokee alphabet that he created in the early 1800s, capturing the spoken tribal language as a series of written symbols. Chief Sequoyah was a tribal leader and influential in the campaigns to preserve tribal rights. Eventually, he moved to Oklahoma during the Trail of Tears relocation program. 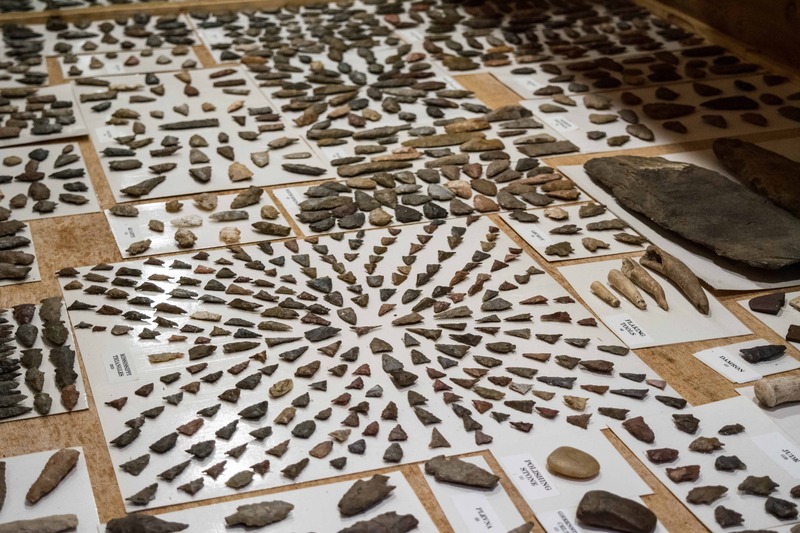 Extensive collections of arrowheads are displayed in the museum, along with local wildlife taxidermy, cultural costumes and clothing, home textile tools, and daily use items. The domed ceiling stretches toward a circle skylight surrounded by spokes of wooden beams. The self-paced museum tour offers educational experiences for multi-generational groups to enjoy together. Yes, I played a couple of the games before returning to the gift shop. Consistent with the overall experience, the gift shop features such Native American handicrafts as carved pipes, exquisite jewelry, and painted artwork. 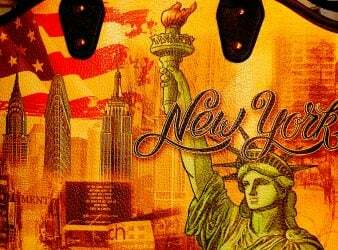 You will find the usual souvenirs available as well – T-shirts, toys, and local books. The Park encloses two significant mounds. 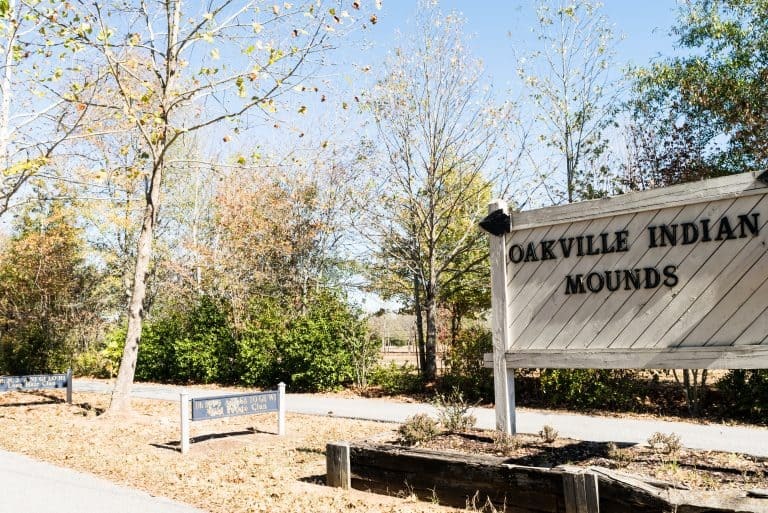 First, the Oakville Ceremonial Woodland Mound was visible from the entry while driving towards the seven-sided museum building. The mound rises prominently at more than 35 feet high and covers more than one acre, surrounded by a flat field. This type of mound was created by moving dirt in baskets. This mound is the largest mound of the Woodland people in Alabama. 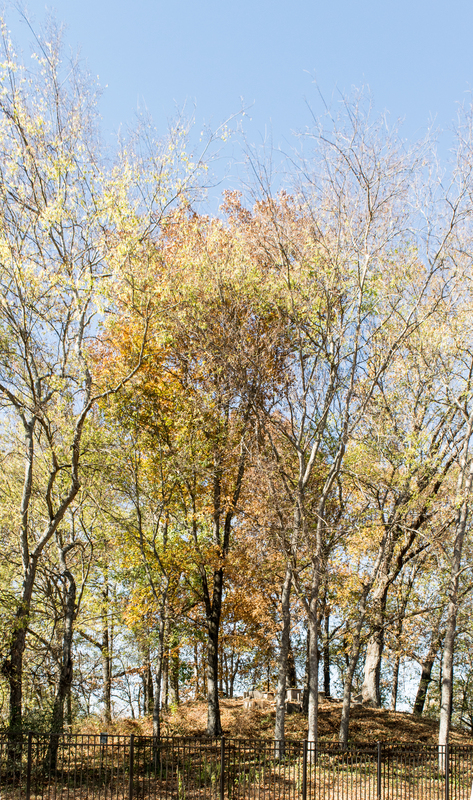 The Woodland Period began approximately 3,000 years ago and lasted for about 2,000 years. The second mound is towards the rear of the property. Located in a forested area, surrounded by an iron fence, lies the Copena burial mound, easily visible when walking the well-marked paths through the park. This mound rises about 20 feet high and covers about one-quarter of an acre and is important as one of the largest burial mounds in North Alabama still in good condition. The park hosted some 10,000 people during its 2016 Multicultural Indian Event. This annual festival is held in May and sponsored by the Lawrence County Native American Student Club. Event demonstrations include such treasured skills as basket weaving, woodcarving, blacksmithing, and pottery production. Indian heritage and cultural traditions are kept alive in crafts, music, dance, ceremony, and camaraderie. 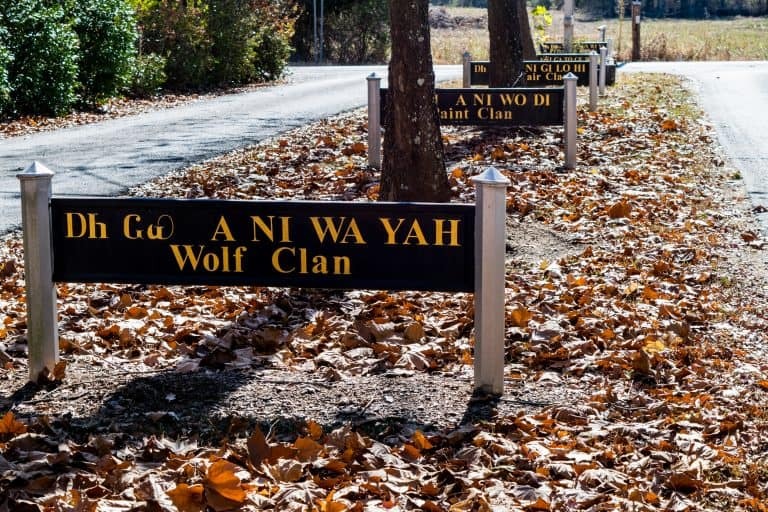 Find more about Alabama’s Native American Historical Sites in Gwyn Goodrow’s column on MilesGeek. Gwyn Goodrow – Writer and blogger with an emphasis on cultural history and textile arts. 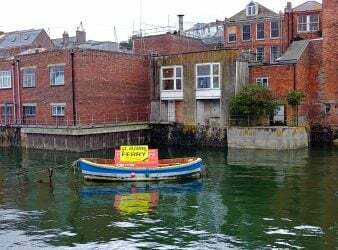 Gwyn writes about culture-rich historical destinations. She has traveled throughout the United States, including a memorable flightseeing trip at Denali National Park in Alaska. International escapades include the Caribbean Islands, Mexico, Canada, Europe, Australia, and New Zealand. When she’s not traveling, you will find Gwyn writing non-fiction eBooks, doing genealogy research, experimenting with crocheting techniques, or planning another trip. Gwyn is a member of the ITWPA and blogs at CabinsOrCastles.com.